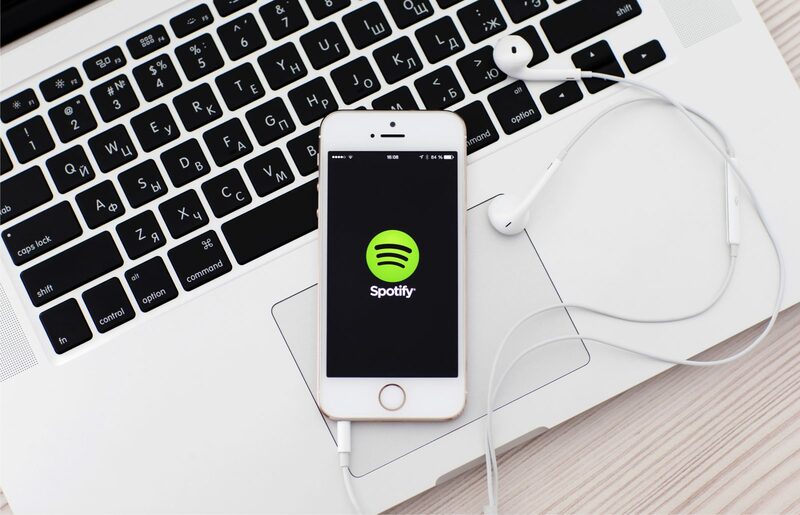 The music streaming service Spotify began in Sweden in 2008 and now operates in 65 regions. The headquarters are in Stockholm, but Spotify is available throughout Europe, the Americas, South Africa, Asia, Australia, and New Zealand. Users can access the service on most computers, smartphones, tablets, and even games consoles. There are more than 40 million songs which users can listen to and create playlists from. The basic service is free but it includes advertisements. A Premium subscription is available for £9.99 a month, or £4.99 for students. This allows subscribers to download music to listen to offline, as well as being ad-free. Spotify Family subscriptions are also available for £14.99 a month. Up to 6 people living at the same address can access individual Premium accounts. Spotify billing is not a Direct Debit or standing order arranged with your bank. This means that you cannot amend your monthly payment date by contacting your bank. 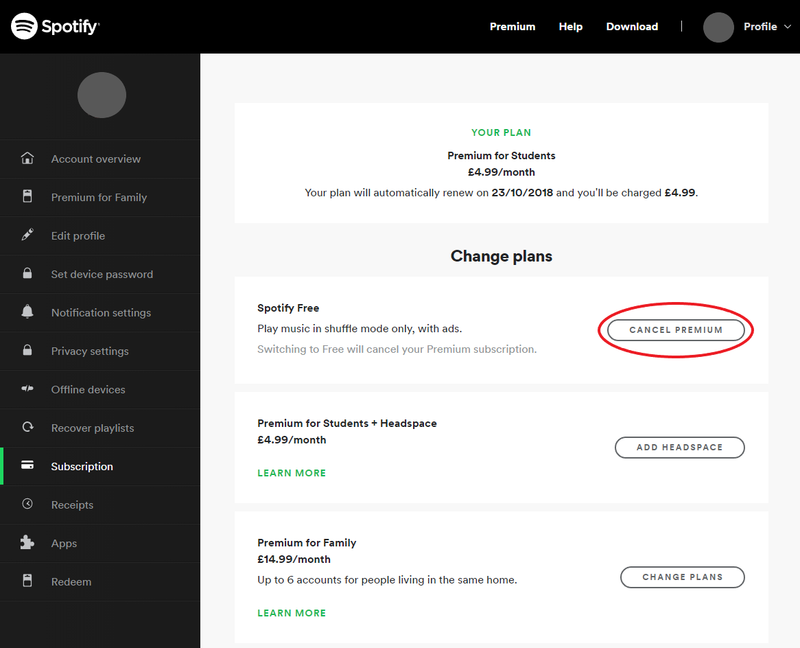 When you first subscribe to Spotify Premium, the date that you create the subscription becomes your billing date. This means that Spotify will take the payment on this date every month unless and until you cancel your subscription. If you want to view or amend your payment details, log into Spotify online or in the app. Click on “Profile” and then “Account” and choose “Subscription” in your account. You will see the date when your next payment will be due and the amount Spotify will take. Pressing the “Change or Cancel” button will allow you to cancel your subscription and downgrade to a free account or change it to a Family account. Clicking on “Update” will allow you to enter different payment details if you want to change your payment method. However, there is no option for amending the billing date. The only way to do this is to cancel and then re-subscribe. You must click to cancel your subscription and simply wait until your preferred date to subscribe again. Your new subscription will continue to take payments on this date each month. Unfortunately, if you have a student discount, this won’t work. 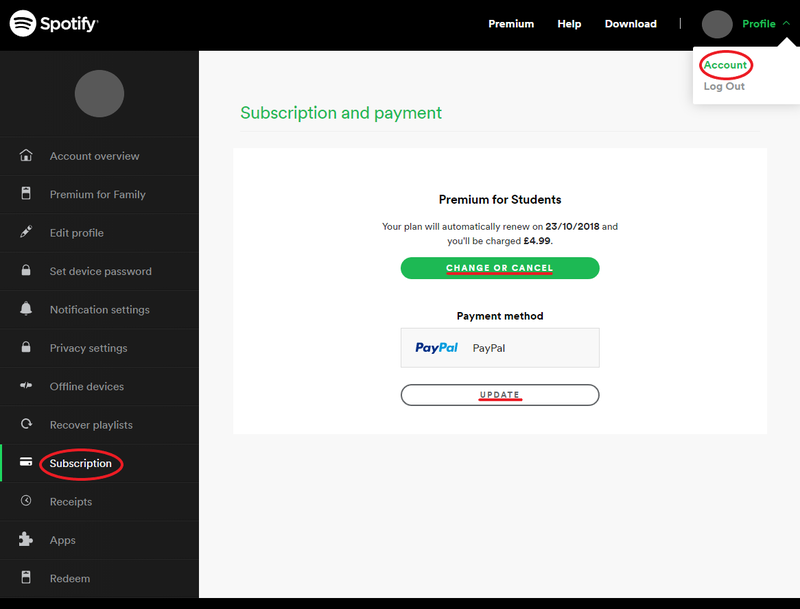 You can only sign up for Premium for Students once every 12 months, 3 times maximum. If you have cancelled successfully, your account will now tell you when your Premium subscription expires instead. You can continue using Premium until this date. After that, you might have to go several days without using Spotify Premium, depending on how long it is before the date you want to re-subscribe on. On that date, you can just click to upgrade to Premium, enter your payment details, and you’re good to go again. If you experience any problems or have a question about this process, contact Spotify. Send a tweet or DM to @SpotifyCares or get help from Spotify community experts, @AskRockStars. You could also submit a contact form, but it could take 3 days to get a reply. Spotify has a lot of online help available. Their focus is on online support, so they do not have a customer services contact number. You can contact them using the methods above to discuss your subscription or payments taken after cancellation. Some users may have taken out their subscription through a third party. If you did this, you will not be able to cancel your subscription directly through Spotify. You must access your subscriptions in your third-party account settings and amend them there. This could be through your Apple ID on iOS devices or Google Play on any others. For help with cancelling and restarting a Spotify subscription through Apple, you should call Apple on 0843 596 3723. Or call Google Play on 0843 557 3397 for help with Spotify subscriptions through Google Play.